Floor Plan Inspection Services are an integral piece of the risk mitigation process for the wholesale credit and finance industry. Douglas-Guardian provides these inspection services to financial institutions, manufacturers, and other companies as a cost effective alternative to performing inventory inspections utilizing an in-house staff. 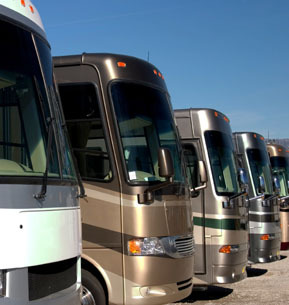 Types of inventories include agricultural equipment, automobiles, trucks, construction units, marine equipment, manufactured housing, and more. With our Floor Plan Inspection Service, you get a complete accounting of your merchandise. Should you request it, our personnel can also collect payment on units sold but not yet paid by your dealer; effectively speeding up your collections activity. Unlike other companies within the industry who primarily subcontract their services to outside independent contractors, we believe in utilizing our company employees. In addition, our services are performed using state-of the-art technology by our highly experienced, company trained field staff. Our various programs are driven by an unwavering commitment to quality, highly experienced personnel, and trusted technological expertise. Do you have a new dealer requesting financing that you would like to know a little bit more about? By utilizing the onsite inspection services of Douglas-Guardian, you receive the added assurance that all aspects of the business are what they are purported to be. Douglas-Guardian will visit the dealer's location and provide you with a written summation of our findings, or incorporate a customized report to interface with existing reporting methodology you may currently be utilizing – complete with photos of the inventory and premise. This service can help you underwrite or evaluate a potential loan or credit decision with the added confidence gained through better knowledge of your potential customer. With our extensive coverage throughout the United States and Canada, there is now a cost-effective way to learn more about a new dealer and their facilities prior to making a financial decision. Do you have a problem dealer that requires a more hands-on approach? Douglas-Guardian has the available resources to place one of our employees on the dealer’s site for a longer term assignment towards protecting your collateral. We become your eyes and ears at the dealer location while taking control to administer the movement of your inventory and the collection of the proceeds generated from your collateral. For example, in the case of an auto dealership, we would take control of the keys and any other documentation – only releasing them to the dealer once customer approval is provided. Going even further, we can also oversee the flow of collections into the dealership if required.